We’d love your help. 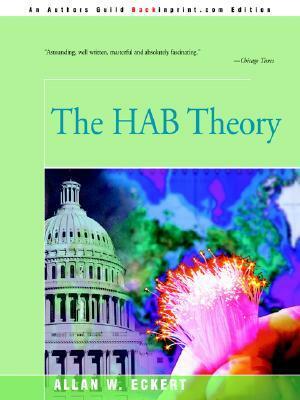 Let us know what’s wrong with this preview of The HAB Theory by Allan W. Eckert. 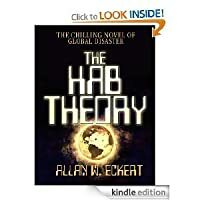 To ask other readers questions about The HAB Theory, please sign up. Read this eons ago and remember that I couldn't put it down. Will have to revisit it one day to see if it holds up. This is my favorite book of all time. Wish more people knew about it...! The end of the world is coming via a wobble in the Earth's rotation. All things considered, an entertaining read but the plot concluded in a very unsatisfying manner. A thought-provoking examination of the Earth's pre-history through a speculative lens. The main protagonist, Boardman, discovers disaster is coming and there's little the human race can do to affect it. There's symptoms of a wobble in the Earth's rotation, meanwhile an accumulation of out of place artefacts all around the globe suggest more ancient catastrophes than scientists will admit to. Then a terrifying discovery is made; another disaster is due to hit soon and when it hits, it will throw A thought-provoking examination of the Earth's pre-history through a speculative lens. The main protagonist, Boardman, discovers disaster is coming and there's little the human race can do to affect it. There's symptoms of a wobble in the Earth's rotation, meanwhile an accumulation of out of place artefacts all around the globe suggest more ancient catastrophes than scientists will admit to. Then a terrifying discovery is made; another disaster is due to hit soon and when it hits, it will throw civilisation back to the stone age. Can it predicted, or even staved off? It soon becomes apparent that the only viable strategy is to figure out how to survive it. Boardman's main enemy is the ignorance and disbelief from disparate parts of the scientific establishment. After nearly 40 years this book still ranks as an all time best read! The danger of over-specialization and professional isolationism in science and medicine as well as political smugness, is so aptly portrayed in this scary all too probable indictment of man's narrow- mindedness. If our lives depend on cooperation, will mankind put aside it's ego? This is one of my all-time favourites! I read this book years ago in the early 2000's when a friend lent it to me. I liked it so much I had to get it again when I became Kindled. I read it again and enjoyed it again, even knowing the ending. 3rd read of this book, and I don't understand why I liked it so much before. WAAAAAy too much soap opera. It would have been better and shorter without all the domestic drama. I read this many years ago and still remember it. I read this book Years ago, like 35 years, and it’s one of the most gripping stories I’ve ever read. I still find myself thinking about it. I highly recommend it. A book in re-print, given to me by a friend. First, the launch of a fully developed "pole shift theory" into the public via a dramatic encounter between the theory's author and the US president. The president and increasingly the academic world embrace the idea that earth goes periodically through a cataclysmic "capsizing" where the position of the poles shift by 180 degrees. The theory says that the next tilt is imminent and that forces the president to rapidly assess the A book in re-print, given to me by a friend. First, the launch of a fully developed "pole shift theory" into the public via a dramatic encounter between the theory's author and the US president. The president and increasingly the academic world embrace the idea that earth goes periodically through a cataclysmic "capsizing" where the position of the poles shift by 180 degrees. The theory says that the next tilt is imminent and that forces the president to rapidly assess the validity of the theory and get the world into action. The second storyline centers around an author, his love life and unraveling marriage. The author is pulled into the main events as the key interpreter, translator, summarizer of the theory, where he gets to collaborate deeply with the president. The book was published in the mid-70s and it shows. The first sign, surprisingly, is the amount of detail in the narrative that would not be present in a book like this today. A clear sign of our decreased attention span ! Other signs are the enormous fascination with cross-world jet travel or simply the constant use of cigarettes and cigars by the protagonists. Also, the marital issues of the author character and the soppy emotionality of the females he wrecks is severely dated to the point of painful. However, once the reader let's go a bit of the 2010 perspective and lets the mind be captured by an in-depth cataclysmic adventure story, the ride is quite enjoyable! The science fiction story here is extremely interesting and fairly well written. The side-story on the other hand, that of the main character's romantic involvements, is downright nauseating, embodying the epitome of 70's macho-ism. Ugh! Herbert Boardman was a wonderful character. Ms. Dowde was okay. I actively disliked virtually every other character. The other females are so shallow they're downright insipid. The main character himself is ridiculously full of tunnel-visioned self-adulation. Given that the main character in the novel is an author, and that (apparently just like the novel's actual author at the time), this main character is going through a messy (view spoiler)[split from his wife (hide spoiler)], I couldn't shake the overwhelming feeling that the author was describing himself. That particular point I found rather disgusting, because practically every smart or powerful person in the book repeatedly showers him with praise ad nauseum for being soooo brilliant and skilled and the best thing since sliced cheese. Yes, that's sliced cheese because this constant patting-himself-on-the-back is cheesy in the extreme! As is the fact that every young pretty woman falls for a middle-aged man. Again, standard 1970's "male middle-age crisis" coming out in fiction form. Ech. Finally getting to the end of the Hab Theory. It's a long book, and the end honestly plods a little bit. It's a bit anachronistic, in the mode of Arthur Hailey and that bunch. Not a bad book but not a GREAT book, which is what it wanted to be. A bestselling topper to such things as 334 and The Sheep Look Up, with a new twist on the global disaster thing. But too much focus on developing sorta stereotype characters made me picture everyone wearing dacron polyester and hoping there would be fondue. This was a difficult one to finish, but I made it all the way. The over-all story idea was really interesting - as were the 'scientific' discussions that supported it. Unfortunately, there was a lot of soap opera, couples drama that made it a much longer and more tedious read than it could have been. If you're a fan of well thought-out end-of-the-world stories, you might want to check it out. Be prepared for slow parts, though. It started out a great idea. Plenty of interesting "facts" but the story focuses on establishing the problem over and over and over. If the main character didn't smoke, you could cut 20 pages of meaningless cigarette-related actions. He ditches a loving wife and kids for a woman who's been with 45 other men (really!) and spends most of the book trying to justify it to the reader. This one goes in the recycling. I first read this book when I was in my teens and its story has stayed with me through all the intervening years. I've never forgotten it. It tells the story of a man whose decades long hobby of detailing weather patterns and historical anomalies over the course of thousands of years leads him to develop a theory that has far reaching consequences and may soon impact the fate of the world. This book is no longer in print, is VERY hard to come by, and is not available as an eBook. This book had me and then it lost me. Then it had me again at the very end. I thought the plot was very interesting and thoroughly enjoyed the story, but for a big chunk (I'd say about the last third) I felt like I was reading a textbook which definitely wasn't what I was looking for. Overall a good read, I just good have done without all of the ridiculously detailed explanations discussed during the symposium. 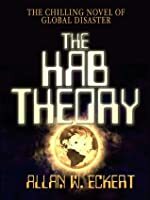 I always thought this was an entertaining story about scientists of different disciplines working together (kind of like Inherit the Stars by James P. Hogan) but then I found out that the author, and a small but significant number of readers, actually believe the "evidence" in the book and the subsequent implications. I still enjoy the story, but it does make me look at it a different way. 700 pages. I confess to reading about 350 pages before I got fed up and skipped to the last 100 pages... then the last 50 pages... then the last 15 pages... then the last page. Sheesh. Apparently from the point at which I stopped until the last 10 pages or so, the book dealt with a symposium held on the HAB theory. Allan's stories are always researched quite well and his ability to weave a story around facts is absolutely wonderful. This story was almost autobiographical to hear him tell it. He was a good friend of ours and told us how he researched this theory. It's a wonderful story--He was just upset because the libraries classified this as science fiction! Based on a real person Hugh Anchluss Brown, an electrical engineer. His theory that humans have built several advanced civilizations on earth over the last 50,000 years, but they seem to dissapear... every 5000-7000 years and that another near-extinction is overdue is very interesting and if true you should read this book soon. A real page turner and a departure from the historical fiction I love reading from. Interesting scenario, keeps you glued to the book. If I have a complaint it is the abruptness of the ending. Still, well worth picking up. This book is one book that makes me think. I really like the comment of the earth will rotate so that North America is the South Pole, due to the weight of National Geo in the basement of the United States. I'm no geologist/ancient historian; but the 'evidence' behind the theory seems plausable enough. Could have done without some of the sub-plots...didn't really contribute and were not necessary. But still, a blimmin good read! Read this book many years ago, but the story has stayed with me. Why do I still remember the title, the plot, and the ending? Old book, but worth reading. The book details are wrong, this book was written in the 70s. I first read this book when I was in high school. I chose to re-read it again last year. The plot is great but the subplots go on a bit long. It is very poignant given the current state of the world and global warming. I have never forgotten this book, though I read it nearly 35 years ago. It should have become a movie. The story is fiction, of course, but it really makes you wonder if it could ever be possible. I loved this book! I adored this book. It was an out-of-nowhere surprise for me, but I absolutely inhaled it. Prediction of environmental end-game for the near future. Once seemed startling. Now, not so much. Still available at Amazon. Allan W. Eckert was an American historian, historical novelist, and naturalist. Eckert was born in Buffalo, New York, and raised in the Chicago, Illinois area, but had been a long-time resident of Bellefontaine, Ohio, near where he attended college. As a young man, he hitch-hiked around the United States, living off the land and learning about wildlife. He began writing about nature and American hi Allan W. Eckert was an American historian, historical novelist, and naturalist. Eckert was born in Buffalo, New York, and raised in the Chicago, Illinois area, but had been a long-time resident of Bellefontaine, Ohio, near where he attended college. As a young man, he hitch-hiked around the United States, living off the land and learning about wildlife. He began writing about nature and American history at the age of thirteen, eventually becoming an author of numerous books for children and adults. His children's novel, Incident at Hawk's Hill, was a runner-up for the Newbery Medal in 1972. One of his novels tells how the great auk went extinct. In addition to his novels, he also wrote several unproduced screenplays and more than 225 "Mutual of Omaha's Wild Kingdom" television shows for which he received an Emmy Award. In a 1999 poll conducted by the Ohioana Library Association, jointly with Toni Morrison, Allan W. Eckert was voted "Favorite Ohio Writer of All Time."